Subscribe here for print and subscribe here for digital. *Savings off the annual newsstand price. Satisfaction Guarantee: If you are ever not 100% satisfied, at any time, you may cancel your subscription and receive a full refund for all unserved issues. Inside Weddings is published four times a year, at an annual newsstand price of $39.96. 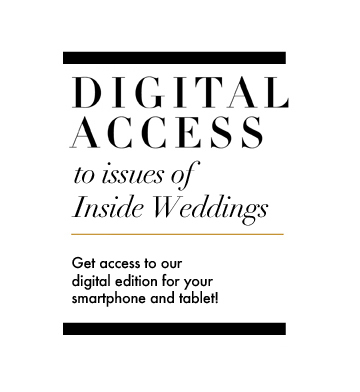 Inside Weddings publishes digitally 4 times a year at $19.96 per year. For customer service click here or call (323) 373-3360.